Azar Video Chat app is a good application for meeting with people. Actually the application is providing random video chat feature which Omegle didn’t developer for years. You can meet new people on the application and you can talk them with texting, voice or video. There’s a good search feature however the search doesn’t work good if you are looking for someone to meet nearby. So it’s 100% percent random. The application is providing one of the most reliable dating chat services on the Android. Besides you can filter genders on this application but you will need to pay for it. Registration process is very short on Azar Video Chat and we recommend this application if you would like to meet new people with your Android mobile or tablet. Azar Video Chat is a good chat application if you would like to talk to strangers with video chat with your mobile. It’s free to chat on the app and you will able to make many friends with this application. However the app doesn’t have any other chat features. 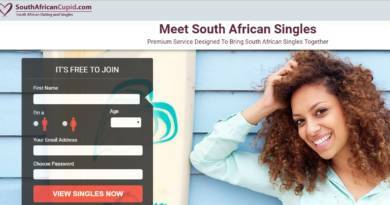 If you would like to meet only females with this app, you will need to pay for it. It’s a good alternative of Omegle on Android. Search feature doesn’t work for nearby locations. There’s not a messenger system. 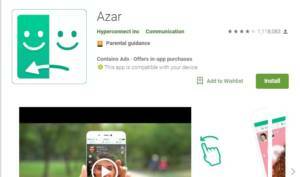 Azar Video Chat is also available for iOS too.